Yesterday and today, I’ve been doing the intense Organizing Fellow training. Yesterday was up in New Hampshire with a large group — about 200 or so, and today is the smaller intensive for the Massachusetts Fellows. The video above explains the organising model that is the basis of the “snow flake” model of community organising. This is an amazing video — every Australian activist should watch it. 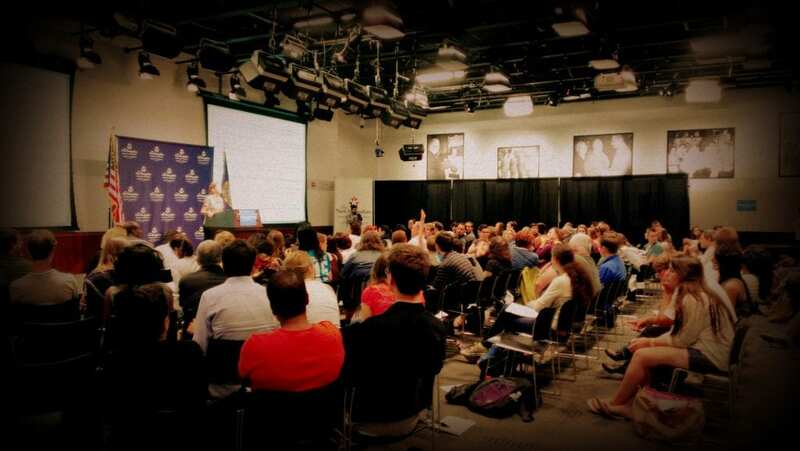 Around 200 Organizing Fellows being trained in New Hampshire on 8 September 2012. There is a lot of similarities between the Obama organising training and union organising. At its heart, it is based on the Marshall Ganz organsing model: locally based volunteer community members talking to their neighbours, supported by paid field organisers and fellows, coordinating other members of the local neighbourhood to make calls and knock on doors. It’s labour intensive, organising intensive and very, very personal. One-on-one contact is the name of the game. In the US, personal stories are very prominent. Personal stories are intended to cut through the “facts and figures” problem (the problem is that 1) no one remembers them and 2) no one believes them) by illustrating the real effects and impacts of various policies or programs. This is an area that Australia has yet to develop a capacity in, at least in politics (non-profits are another matter). The other interesting element of the training is the centrality of both data and digital campaigning. The Obama campaign is very data driven. By data, I mean that every interaction with voters is logged and used by campaign strategists to determine allocation of resources. Each interaction is part of a plan designed to identify Obama supporters and undecided or independent voters. Supporters are then asked to volunteer and (failing that) will be targeted in the Get Out The Vote in the last two weeks of the campaign. Undecided voters are identified and then targeted with “persuasion” contact — which is where those powerful personal stories come in — to convince those undecided voters to support Obama. The digital integration is also important. Digital encompasses both potential supporters signing up or interacting with the Obama website, or with an email, or via social media. This allows the campaign to ID and then contact those voters and attempt to turn them into volunteers with the campaign, or to get them out on Election Day. It’s impressive that this goes from the National campaign right down to state and even local campaigns. It’s very clear that the architects of this campaign both understood the value of digital, and that its primary value was driving off-line, real world action. Finally, the Massachusetts campaign is built around winning New Hampshire. Massachusetts itself is safe for Obama and is a strong Democratic state. Therefore, the campaign here sends most of its volunteers up to New Hampshire to canvass (door knock). Thanks for the great insights.